[Von dem Königreich Poladt das in Sarmatia auch..] - MÜNSTER,S. Title : [Von dem Königreich Poladt das in Sarmatia auch..]. Size : 4.7 x 6.0 inches. / 12.0 x 15.3 cm. 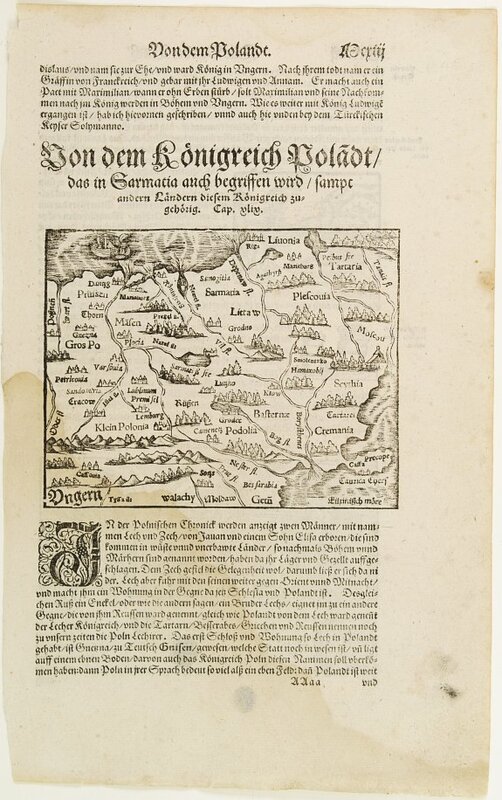 Description :Early map of the coast of Poland. Wood block printed map (12x15cm.) set in a page with German text.. Condition : Some age toning of the paper. Some water staining on the upper margin and on the lower part of the sheet, affecting the lower left corner of the map.